Philly SHRM welcomes you to ask! Learn more about those Philly SHRM questions you may be asking yourself! If you don’t see your question on this list, feel free to email us at info@phillyshrm.org and we will reply to your email within 48 hours of receipt. Thanks for your partnership with Philly SHRM! How do I become a member of the Philly SHRM chapter? For detailed information on becoming a member of Philly SHRM, please click here. Does it cost any money to designate to Philly SHRM? If you already have a National SHRM membership, Philly SHRM membership is free! I’m already designated to another SHRM chapter and really want to join Philly SHRM too. Can I designate with the Philadelphia SHRM chapter too? Unfortunately you can only designate to one chapter at a time. If you would like to switch your affiliation, it’s easy and we can help you! Simply email info@phillyshrm.org with your request to designate to Philly SHRM, your full contact information and SHRM ID number. From there we work with National SHRM to make the necessary updates so you don’t have to worry about those details. Then, we will reply to your email when this is complete. This is processed every Friday with updates given the following Monday. From there you can start enjoying the member benefits. I can’t remember my log-in information for the Philly SHRM website. What do I do? Click here to access the log-in page, and choose ‘forgot password’ which will trigger the information to be emailed to you. Please note, your log-in information for the Philly SHRM website is different than your log-in information for SHRM National’s website. This is often confused. If you have never logged into the Philly SHRM website or are not a current member, you will need to sign in as a visitor before creating a profile. What are the benefits of joining Philadelphia SHRM? Our chapter provides its members a wide array of services designed to enhance the skills and development of HR individuals by offering professional/career development, networking opportunities, volunteering opportunities, and events to help you stay current on cutting edge HR practices. Please click here to learn even more about the value of membership and how PSHRM can assist you in advancing your HR career. Philly SHRM does host a variety of different types of monthly events – all allowing time for networking, learning and connecting with members, guests and our industry leaders from the Philadelphia area. There are also many professional development opportunities we urge everyone to get involved in. Please click here for our event calendar and secure your registration. Are non-members allowed to attend events? Yes, non-members are welcome (and extremely urged) to attend any Philly SHRM event. Non-members do pay a higher registration fee than our members. Please remember, Philly SHRM is free to designate to if you are already a SHRM national member. I’m trying to register for an event, and the only option I am being given is the nonmember pricing, but I’m a member. What can I do? If you are a member of SHRM National but have not designated to the Philadelphia chapter, you must do that to receive member pricing along with all the chapter’s benefits. Please click here to designate to Philly SHRM. If you believe you are already designated to Philly SHRM, please email info@phillyshrm.org with your full name, email, phone number, and SHRM ID number or call us at 484-461-2555. We are happy to assist you as this can often be confusing. Where can I obtain a receipt for my registration to a Philly SHRM event? After you registered for the event, a receipt was automatically sent to you. Please reference that confirmation email that you received to obtain the payment confirmation information. If you cannot locate your confirmation email, please contact us at info@phillyshrm.org or 484-461-2555. I’m interested in speaking at a Philadelphia SHRM event. Who do I contact with to find out more details? We welcome all potential speakers to our chapter, but, please keep in mind our programs are typically planned a year in advance so once you submit your information it will be kept on file until the next program planning session takes place within the board. Be assured your submission has been received and will be reviewed in a timely manner. Due to our non-profit status, there is no compensation for speaking. Please click here to fill out our speaker application if you are in-line with all the prerequisite items listed, or click here to download the word document application and submit to info@phillyshrm.org. I registered for an event but I no longer can attend. May I request a refund? We do not give refunds after a registration has been submitted and processed for an event. However, we do have the opportunity for the registrant to transfer his/her registration to someone else, or apply it to a future event within the calendar year of September through June. I am a young professional in HR, how can I get involved? The Philly SHRM Emerging HR Leaders group is perfect for you as it is dedicated to engaging HR professionals with roughly 0-8 years of HR experience, including college students interested in working in HR post-graduation. There are networking events, career development sessions, local student SHRM chapter support, and scholarships. Check out the details here. Are webinars offered recorded, and, if so, how are they obtained? Philly SHRM members and non-members must register and pay the fee to participate in the webinars; if a registrant is unable to attend, a recorded version of the webinar is available by sending us an email info@phillyshrm.org. We will send you the recording (via hightail.com) along with the critical slides to the presentation. How do I become more involved in Philly SHRM? Philly SHRM is always looking to engage our members – and volunteering is a great way to connect with the chapter! If you would like to volunteer for Philly SHRM, please click here to learn more and complete the form to let us know more about you. Please know your submission will be reviewed and someone from our board will be in touch. My company/business would like to partner with Philly SHRM? How do I learn more and get started? Philly SHRM is always looking for opportunities to create valuable partnership to benefit their members. In order to ensure the partnership vision you have is within the chapter’s vision, please review our pre-requisites, and if appropriate, fill out the online partnership form and someone will contact you shortly. It is important all areas are reviewed prior to submitting the form. Partnerships are thoroughly reviewed, considered and a follow-up will be requested if there is interest to pursue the request. How do I post events on the programming calendar? Philly SHRM welcomes all event information, but because of the volume of requests our chapter receives, we will post only select, appropriate HR events on our HR regional calendar. Please email info@phillyshrm.org with your event information to see if your event is approved. Can Philly SHRM send an email to its members for my upcoming event or service? Philly SHRM welcomes all event information but because of the volume of requests our chapter receives, we can only send a limited number of emails to our membership. These emails are reviewed by our board members for approval. Please email info@phillyshrm.org with your upcoming event or service with the outlined email blast request to see if it meets our email standards. How can my company become a sponsor of Philly SHRM? We have a variety of sponsorship packages and opportunities located here. We also want to ensure you have the best possible opportunity with our chapter. There is the ability to work together on a package that makes sense for your need. If you don’t see what you are looking for online, please contact us at 484-461-2555 and we will be happy to discuss the options! We welcome all opportunities to partner with us. If I’d like to receive communications from Philly SHRM, how do I get added to the email list? Scroll all the way to the bottom of this page, or any page of the Philly SHRM website and enter your contact information where it says “STAY CONNECTED.” If you are a Philly SHRM member, you are automatically added to the email list. If I no longer want to receive emails from Philly SHRM, how do I unsubscribe? There is a link at the bottom of all Philly SHRM emails that says “Unsubscribe.” Please click on this link and follow the appropriate steps to unsubscribe from Philly SHRM e-blasts. Please know if you are a member and select to be removed, you will no longer receive any communications from the chapter. If I need to change the email address where I am currently receiving Philly SHRM emails, how can I do that? Click here to log in to your account and update your contact information and communication preferences. Or request the change by emailing us at info@phillyshrm.org – be sure to include your old email address and new email address. What is the process to post a job on your website’s job bank? Both members and non-members are able to pay a fee to post a job on the job bank. Please click here for more information! There is a blue box on the right-hand side that will give you information on pricing, the posting process and how to view resumes. Are there more resources for becoming Certified in the HR profession? Yes, Philly SHRM strongly encourages its members to pursue HRCI certification. There are many details located here that will help advance you in this part of the profession. How is Villanova’s Certification program affiliated with Philly SHRM? 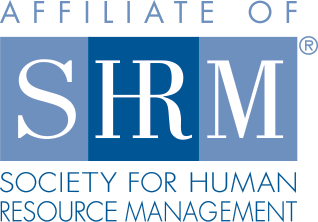 Philly SHRM partners with Villanova University to provide more value to its members by conducting a SHRM Learning System course which prepares HR Professionals the tools to obtain their certification. All specific details can be found here. HRCI is a separate entity from SHRM and is the recertification process which demonstrates your commitment to the HR profession and your continued mastery of HR. There are important steps that must be followed to become a certified HR Professional. All HRCI inquiries should be directed towards – www.hrci.org. How do I obtain my HRCI Credit form after an event I attended? All in-person events that are approved for HRCI credits will have a certificate which is handed out at the end of the event. All other events, the certificate will be emailed after your attendance is confirmed. All requests should go to info@phillyshrm.org. How do I obtain my HRCI Credit form after an online webinar event I participated in? All online events that are approved for HRCI credits will have a certificate emailed to each participant after the webinar concludes. To confirm participation, the attendee must complete a survey, and the form will be emailed within 3 days of request. How do I contact the Philly SHRM President, board members or committee members? The President, Board Members and Committee Members can be reached by sending your message to info@phillyshrm.org, and your email will be routed to the appropriate party. Please do know each board leader does receive quite a few emails so a response can take a couple weeks based on priority of the email message. What is the general contact information for Philly SHRM?